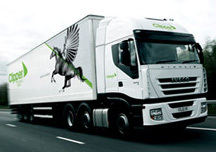 Clipper Logistics has started an online clothing fulfilment operation for John Lewis. The operation is based at Clipper’s 500,000 sq ft warehouse in Ollerton, near Newark. The operation uses Clipper’s e-fulfilment system, but this has been further developed to meet the requirements of John Lewis’s online clothing business. “We needed a partner who could add value and work alongside us to deliver a successful project in a tight timeframe. Clipper have demonstrated that “ability matched by agility ” truly exists within their business, and we are very happy with the results,” said Rocos.